There are a ton of games that will be coming out that look pretty amazing. The current gen consoles have a good lineup and the games that will be coming out for the new gen consoles that will determine the success of Sony, Microsoft and Nintendo. Here is my list of what games I can't wait to get my hands on soon. 10. Saints Row IV- There is something about being the President of the United States while having super powers and beating up civilians with adult themed toys that makes this game a must have in my opinion. The Saints Row series has branched away from being so similar to the Grand Theft Auto series. This game has the sole objective of being outlandish and hilarious at the same time. Release date is August 20th 2013. 9. Forza Motorsport 5 - Out of all the racing games, Forza 5 is one of the two I am most looking forward to. The main reason is the Driveatar which basically means "The End of AI". Every time you race, Driveatar analyzes the way you race so while you are offline, it can race as you would race. As well as when you are racing, you will be racing against other human Driveatars. Alright lets be honest, obviously AI technology is not completely obsolete in this game but its definitely a good start. The only downfall to this game is that it is a Xbox One exclusive. It's a Day One release for the Xbox One. 8. 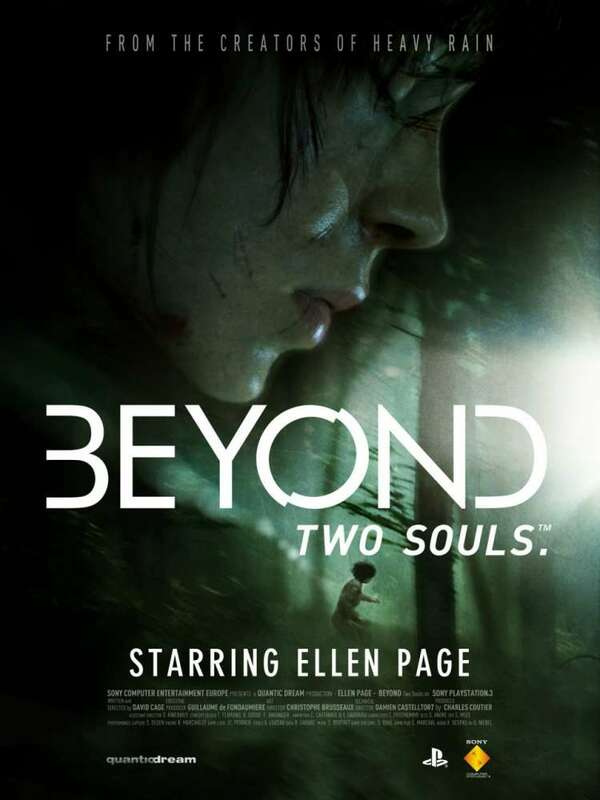 Beyond: Two Souls - Quantum Dream has done an amazing job with Heavy Rain, I couldn't wait to see what they had next up their sleeves. When they announced this game and showed trailers, I couldn't believe how stellar the graphics were. The game takes you through 15 years of Jodie Holmes life. The decisions you make determines the various outcomes of the game. Release date is October 8th 2013. 6. Super Smash Bros. 4 - I absolutely love Smash Bros. This is a game that anyone can pick up and play and get the gist of it instantly. With the announcements of three new characters added to the game; Villager, Mega Man and Wii Fit Trainer definitely bring more excitement for the game. You can even customize your fighter and play with them on both your 3DS and Wii U. Wii U here I come. It will be released in 2014. 5. Tom Clancy's The Division - This open world game setting is located in New York City. It starts three weeks after the beginning of a global pandemic that happened to start on Black Friday. You have to save what remains despite all the destruction the disease has caused. MMO style gaming that puts you against friends, AI and other players. Game set to be released in 2014. 4. Grand Theft Auto V - FINALLY! I have been playing the Grand Theft Auto series since GTA 2 on the first Playstation and my favorite game in the series is Grand Theft Auto: San Andreas. Rockstar gives us three protagonists; Michael, Franklin and Trevor and we get to see how they live their lives, do special missions with each of them and see where their paths cross. I am looking forward to the police chases, customization and a great story line. Release date is September 17th 2013. 3. Titanfall - This multiplayer only first person shooter made me forget that there were games called Call of Duty and Battlefield for a moment. You can play as a free running "pilot" or as a mech called "Titan" while you complete objectives with your team. Games will be filled with both humans and AIs and will have plots that you might see in a single player mode. This game as of right now is coming out for Xbox One, Xbox 360 and PC but there is a possibility that it will be released for the Playstation 4. Release date is set for Spring 2014. 2. Watch Dogs - There is nothing like being able to hack into everything within range with just your cellphone and have access to everything. Aiden Pearce can be your worst nightmare or the biggest hero. You can choose to help potential victims, hack people's personal accounts among other things while the police actively searches for you. I believe this game will be one of the top selling games of 2013. The game is set to be released on November 19, 2013 Xbox 360, PS3 and Wii U and its a Day One release for the PS4 and Xbox One. 1. Destiny - When I heard Bungie was making a multi-platform game, I got really excited. I have always been a fan of Halo since the beginning. You will be part of the Guardians, the last defenders of humanity (Guardians of the City). There are different classes and races that you can choose. You can play single player or with friends to get through certain aspects of the game but you will also be part of Public Events which makes this game a MMO at its finest. This game is set to be released in 2014. There are other games that almost made the list but deserve a shout out. They are: Assassin's Creed IV: Black Flag, Call of Duty Ghost, Battlefield 4, Killer Instinct, Batman Arkham Origins and Batman Arkham Origins Blackgate (Vita). Halo will definitely be on my list once they announce more information on it. Let me know what games you are looking forward to, make your own top 10 in the comments below.